Discussion in 'Visual Arts' started by Lawrence Schulman, Jun 30, 2018. 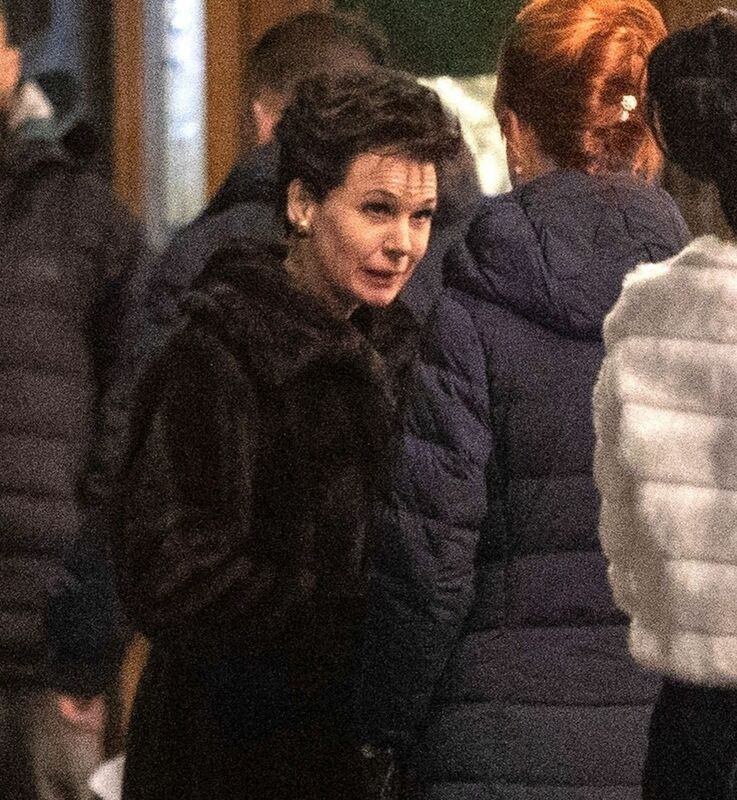 Was wondering about peoples' opinions about the upcoming film on the last months of the life of Judy Garland, called Judy, that is starring Renée Zellweger, who will be singing in the film. Personally, I am divided. I think Garland's life was so complicated that it is virtually impossible to film her whole life. It would take a Federico Fellini to film such a convoluted story. Thus, I think taking a part of that life and making it the subject of a film is a good idea. On the other hand, Judy's end is not pretty. One cannot appreciate her greatness by depicting the tortured last months. One last point, on the negative side, Garland's voice was unique. The fact that Zellweger is going to do her own singing does not augur well for the film. I will see the film, but am expecting the worst. I wish they wouldn’t do these films. They rarely turn out well. It’s a nice job for Renee Zellweger, whose star has fallen in recent years, but I’d rather see a well put together documentary on the life of Judy Garland than a no doubt fictionalised movie account. While it wouldn’t be ideal to have Renee miming to Judy’s music, it makes even less sense to have her singing the songs herself! It’s not like Garland was some two-bit singer. TheVU, audiomixer, scousette and 2 others like this. The fact that Zellweger is going to do her own singing does not augur well for the film. i can't remember a film about an artist that wasn't at least partially cringe worthy. impossible to display the nuances needed in 2 hours. taking the last months could work if there is enough information disclosed at the beginning to show the arc of her career but that would be some really good screenwriting to pull that off. most people who weren't around to appreciate her career would not understand what led up to the end without a good primer on the rest which would deny the end it's meaning and drama. have to agree with BM. a well done documentary would be a better primer and update on ms. garland. she deserves nothing less. I wish they wouldn’t do these films. They rarely turn out well. Last I heard, Garland was music, no? Yeah, ALL movies have music, so let's change this to the "Music/Movie Forum" So far, no one has mentioned the music in the film, lol. Whatever, have at it! alexpop and audiomixer like this. I'll withhold judgement for now. Having a stage director is an interesting choice. I still think a biopic can give something that a documentary can't. MRamble and The Hud like this. 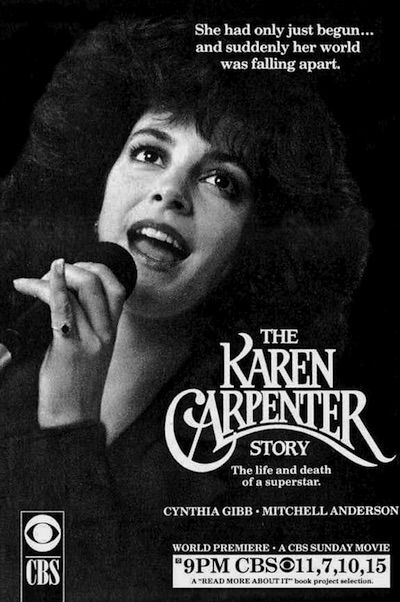 That was a bit of a whitewash on Karen Carpenter. There were legal problems involved, and (as one example) they couldn't go into the details of her failed marriage to Texas entrepreneur Jim Burris. Most biographies report that once she realized Burris just wanted to spend all her money, that put her in a tailspin from which she never really recovered. But they couldn't come out and say this in the TV show. Richard Carpenter told me he was also furious at Karen's doctors, and -- while she weighed over 100 pounds when she died -- her system was damaged after years of anorexia, and her heart couldn't stand the strain. Judy Garland was a sad story, and the years of ups and downs made her a tragic figure. I can remember watching her 1964 CBS TV show and thinking, "jesus, this woman is absolutely crazy." My mother liked her, but I thought she was overwraught and bizarre. I get that there are fans that like that aspect of her, but I thought Garland's stage performances in the last 10 years of her life were bizarre. Her movies were often fantastic, and I like some of those. Mel Torme (whom she called "Mel Torment"), who was featured in her CBS show, had some pretty hostile stories about working with her in his autobiography. Simon A and Bobby Morrow like this. Watched several documentaries on her and read the book by Gerald Frank(?) years ago. Judy was such a talent. The best of her era maybe. But she lived in a time in which the mindset was very different. The powers that be worked many of these actresses like dogs it seems. Judy was at the top so they drugged her up and drugged her down to get movie after movie from her. But she was also very very ambitious it seems. She wanted to do anything and everything to be one of the glamor girls. And she paid the price for it. Worn out, strung out, old before her time and probably fairly unhappy. No, Id rather just remember her in a good way. I know she died tragically. We dont need a movie like this. There's no question it's not gonna be very good. I mean, who else can sing like Judy Garland anyway? Still... I'm willing to bet that many people will turn out for it, just to see how not very good it actually is. And that's probably reason enough to make it right there. I hope I am surprised and this one turns out great. There have been a lot of biopics I like about singers, Buddy Holly, Loretta Lynn, Richie Valens, Johnny Cash, Ray Charles, Selena, Bobby Darin, Patsy Cline, and quite a few others. Success ratio is better than most genres for my money. In this case I don't know much of anything about the writers, director or others involved but that doesn't matter. Trying to picture Renée Zellweger as Judy is a stumbling block for me but I like her and think she is a good actress. All I know about Judy's last years are the few recorded performances I have seen, although apparently loved by many, were underwhelming to me so much that I haven't tried to find more and a couple of articles written about her troubled life. through her later problems and death, I feel it's a film every Judy fan should be aware of and watch. By the way, some actors have successfully sung the parts of famous singers - Beverly D'Angelo singing Patsy Cline in Coal Miner's Daughter. Rene Zellweger can sing, and with proper coaching can pull off a good Judy Garland. Too bad they didn't try to make this a decade ago - Jane Horricks can do an astonishing Judy. I thought it was pretty B-grade. It will get more material released and for that I am all in. She is the real A Star is Born. When I look at Judy I have to ask did she ever really have a choice? It was all she ever knew. She never had a real childhood or life. That she would be screwed up is almost a given. Her parents, LB Meyer, her various husbands, no one could stop a life long tailspin. And some accelerated it. From a human point of view her talent is secondary. Judy looked like hell near the end--like someone 15 years older. The up and down shows, breakdowns (which weren't really understood like today), this is just going to be huge downer, with maybe some redeeming musical moments. Some of those Jack Paar appearances of hers were surreal, to say the least. I think one of the reasons many people get misty when she sings Rainbow in the movie is knowing she was already in a plane that was going to crash. I think Judy was absolutely brilliant and that was surly taken advantage of. As a teenager, working from 5am to 2am, completing one movie, filming another, rehearsals for the next, personal appearances, and radio performances all in one day. And that’s just the teenage years. Sure they were paid well (although nothing like today) but how many years can someone withstand that and not rebel or break? I don’t know if Zellweger can do this justice. You can’t believe or understand the end unless you know the beginning.